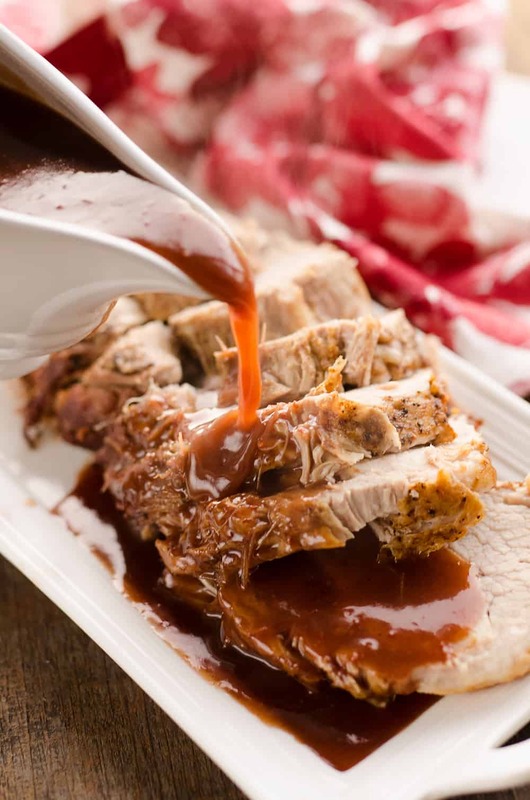 Pressure Cooker Cranberry Balsamic Pork Loin is a delicious dinner recipe made easy thanks to the Instant Pot. 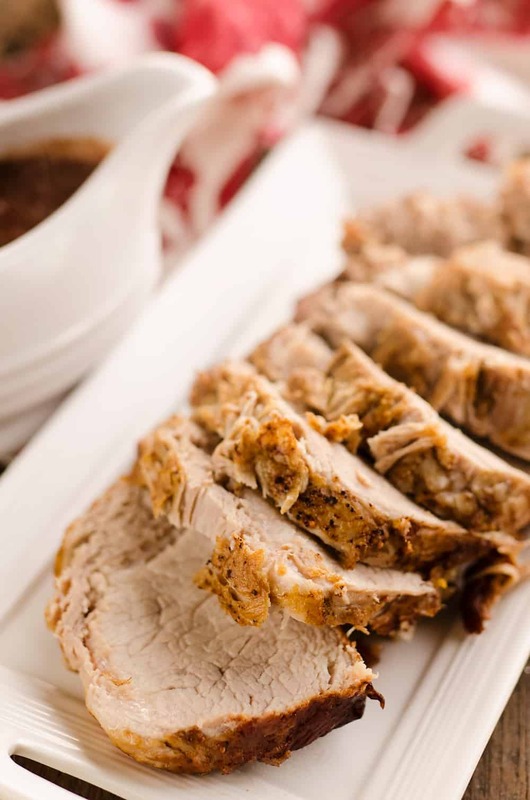 A tender pork loin is served with a sweet and savory cranberry sauce for a fantastic one pot meal! To be completely honest, pork loins have never really been my thing. They were cumbersome to make in the oven and I would almost always end up with a dry tough piece of meat. Basically, I never really found much success with pork in the past. 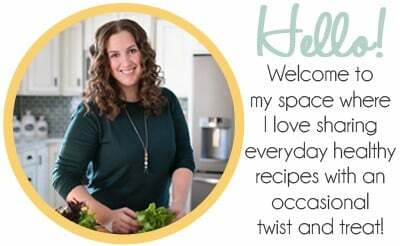 That is until I started cooking with my electric pressure cooker, aka Instant Pot! 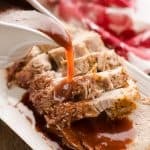 From Pressure Cooker Pork Loin, Stuffing & Gravy all made in one pot to this Pressure Cooker Cranberry Balsamic Pork Loin, they are the perfect examples of how moist and tender pork can be thanks to cooking it under pressure. Not only does the pork turn out amazing, it is sooooooo easy to make! You can buy a pre-seasoned pork loin, or just season a plain one up with some salt and pepper. Sear the pork on each side in the Instant Pot and add the remaining ingredients. Pop on the lid and let it do it’s thing! When the pressure is all released and the pin has dropped on your Instant Pot, you can carefully remove the lid. Pull out the pork loin and set it on the cutting board. You will have to do this gently, as the pork can be fall-apart tender at this point! While the pork is resting, letting the juices settle into the meat, it just takes a couple minutes to complete the cranberry sauce. Grab your handy dandy Immersion Blender and give the sauce a quick blend until it is smooth. If you prefer a chunkier cranberry sauce, you can skip this step all together. If you don’t already own an immersion blender, I highly recommend you make the $25-30 investment. 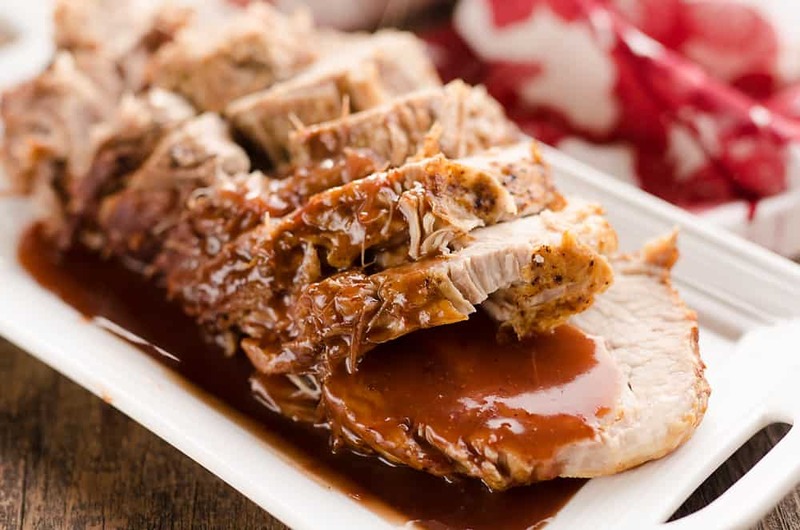 It is great for so many recipe, not just this Pressure Cooker Cranberry Balsamic Pork Loin. 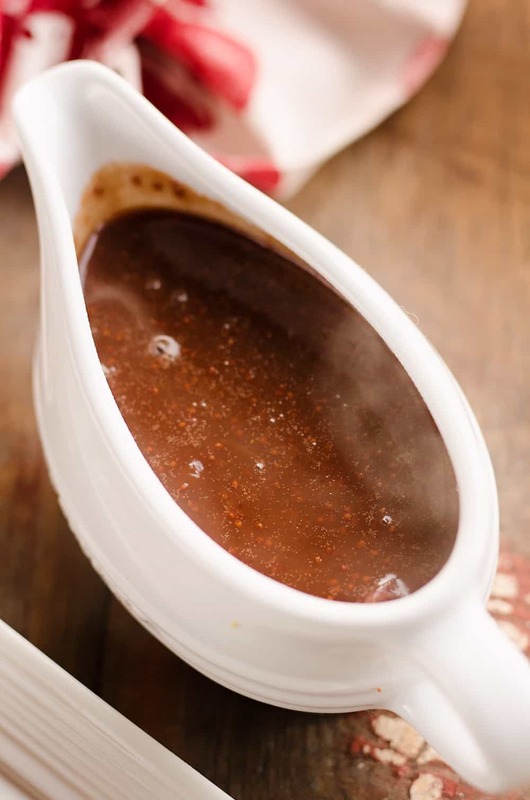 Whether you are making soups like this Pressure Cooker Creamy Butternut Squash Soup or homemade salad dressings, it is a great small appliance to have in any kitchen. The resulting cranberry sauce from this Pressure Cooker Cranberry Balsamic Pork Loin is amazing as well. The depth of flavor from the orange, ginger, balsamic vinegar and pork drippings is spectacular. The guys enjoyed this meal hot in the field and I was lucky enough to stash away some leftovers for myself. I made sandwiches from the thinly sliced pork and the savory cranberry sauce and they were to die for. 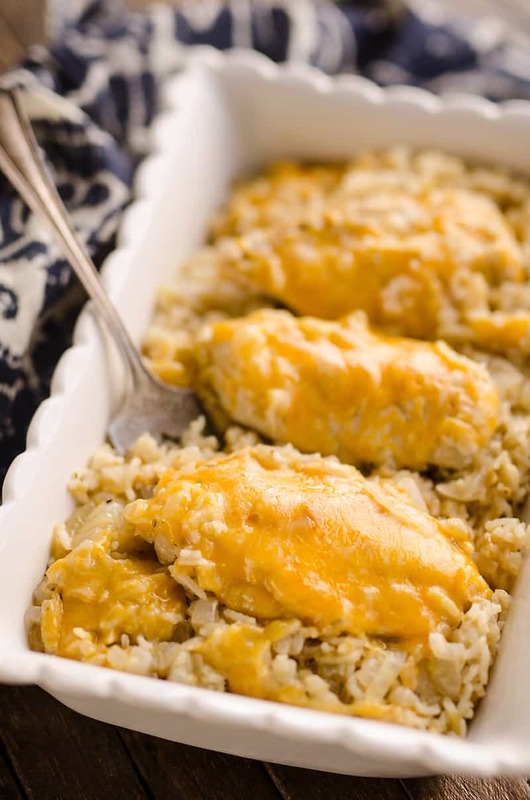 I highly recommend you give it a try if you do end up with any leftovers! Season the pork loin with salt and pepper. Add the olive oil to your 5 or 6 quart Instant Pot and turn on to saute. Add the seasoned pork loin and sear on each side for 2-3 minutes. Add the balsamic vinegar to deglaze the bottom of the pan. In a small bowl, whisk the flour into the water. Add the paste along with the remaining ingredients to the pot and give a quick stir. Cover and cook on high pressure for 40 minutes. Allow the pressure to naturally release. Remove the pork from the pressure cooker and allow to rest on a cutting board. After the pork has rested for 5 minutes, slice it up and serve it with the cranberry sauce. 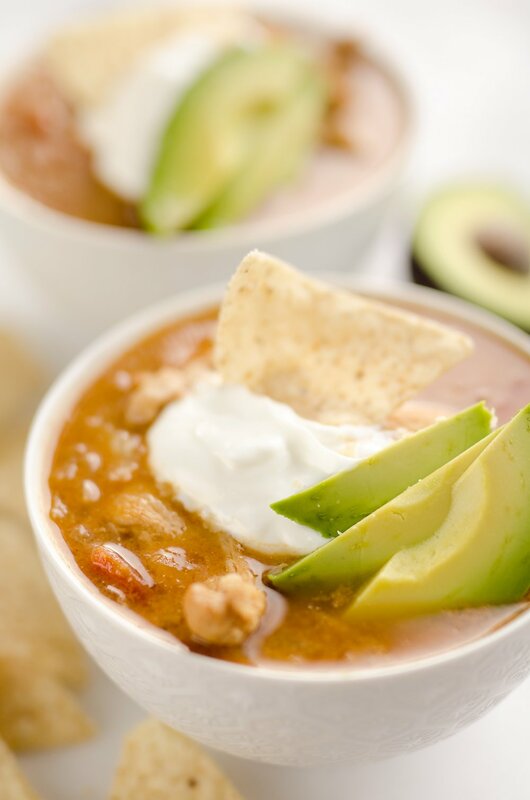 More great electric pressure cooker recipes! This is really making me want to get a pressure cooker! The flavors you have in here are amazing! I’m definitely going to have to try this! Ok, Santa has to bring me an Instant Pot for Christmas!! 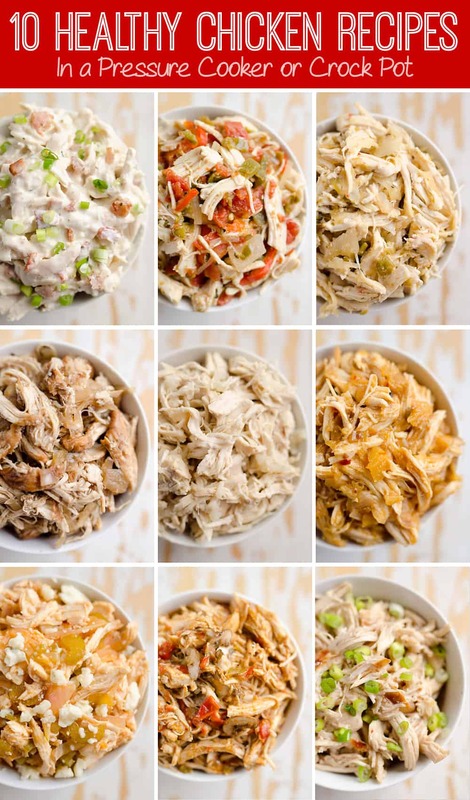 We love pork and I’m always looking for new recipes! I already loved pork loins, so this is a match made in heaven for me!! Love that sauce!! This looks delicious!!! What a great combo!! The pork and the Cranberry Balsamic sauce!!! Yum!!! And to top it off, its a put it in the pressure cooker and go!! In love with the combination of pork and cranberry sauce. But you had me hooked at pressure cooker! Keeper. How long would you cook a 4lb pork loin for? I haven’t tried a 4lb pork loin, but I would start by adding 10 minutes and go from there. IP cooking guide suggests 20 minutes per pound for pork loin. I have a loin that’s just over 4 pounds, but I’m hesitant to cook on high pressure for 80 minutes for fear of over cooking both the meat and the sauce. But for safety I want to make sure the pork gets fully coked. This gets to the main thing that makes me uncomfortable with using the IP, as much as I want to love it: I can’t just lift the lid and stick a meat thermometer in, or check for texture or adjust spices/salt along the way. Any tips? 80 minutes sounds like a bit much to me. I would try 60 minutes and would bet it would be cooked through. If not, you can always put it under pressure for more time! Do you remove the pork loin after browning and before you de-glaze the pan or add other ingredients? Then does the pork loin rest on top of the other ingredients for cooking? I haven’t removed my pork to deglaze. I just move it around a little within the pan and then add everything on top of the pork. My Instant Pot explicitly states not to add flour until after the pressure cooking is done. Can I cook it in at the end? The IP guide says not to cook a lot of things like pasta, etc. I have cooked those things with lots of success. The sauce will be hot enough that you could add it in the end though and it should be fine. Can fresh cranberries be used instead of frozen, and if so, does anything need to be done differently? Yes absolutely! No need to change anything with the recipe. I made this for dinner tonight, and it was delicious. Everybody ate it, even my 2 yr old, who doesn’t normally enjoy meat with in tact texture. It was very tender. We did tweak the recipe some, sauteing 4 lbs in a skillet, mixing the flour in white wine and adding it after the meat was cooked and out of the pot, and skipping the ginger cause I didn’t have any. I also dropped the water, since I used wine and had enough liquid with the increase to cover 4 lbs to pressurize the pot. I cooked for 50 min, which was ample time. I’ll try 45 next time. 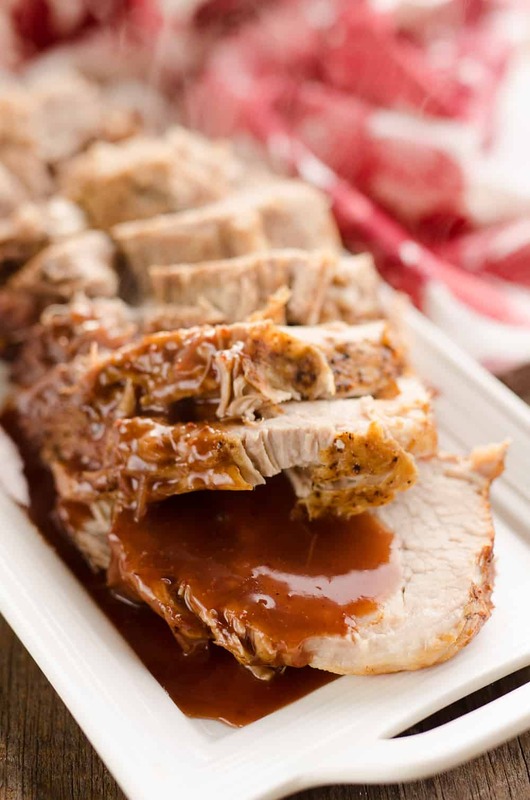 Thank you for a wonderful recipe and helping me learn how to do pork loin in the instant pot! Oooo the wine sounds amazing with this! Happy to hear you enjoyed it Sarah. Followed the recipe with the exception of cutting the brown sugar back to 1/2 cup (personal taste preference). The pork roast turned out really tasty, but there was w-a-a-a-y too much sauce for a 2 lb. pork loin. Definitely will be making this one again, but I will cut the sauce (which is very good by the way) in half. Delicious recipe!